A huge trove of confidential documents from the Panamanian law firm Mossack Fonseca was made public on Sunday in what's known as One of the World’s Largest Data Leaks ever, called The Panama Papers. Even larger than the NSA wires leak in 2013, the Panama Papers includes 2.6 Terabytes of private data, exposing an enormous web of offshore shell companies frequently used by many of the richest and most powerful members around the globe to evade taxes, hoard money, and skirt economic sanctions. Shared with German newspaper 'Suddeutsche Zeitung' by an anonymous source, the leaked documents then passed on to the International Consortium of Investigative Journalists (ICIJ) – in which 370 Reporters from 100 News Media organizations looked into the massive leak for a year. 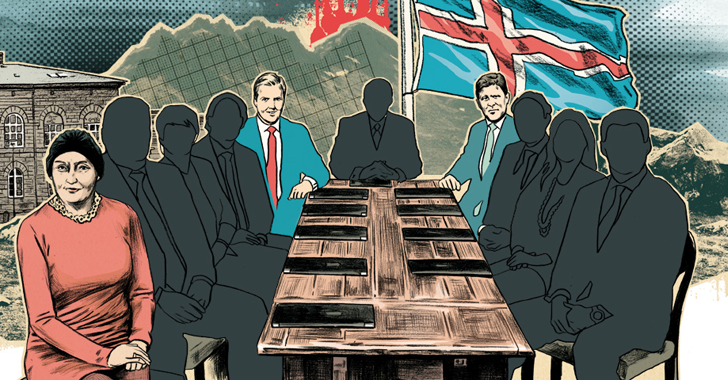 After a year-long investigation, ICIJ and its reporting partners began publishing a series of leaks on Sunday based on the Panama Papers, which involves more than 11.5 Million files including emails, invoices and bank records, and implicates 72 current and former heads of state. According to ICIJ, the leaked documents range from 1977 to December 2015 and include details on 214,000 offshore shell companies with links to 140 politicians including the President of Argentina, the King of Saudi Arabia and Prime Minister of Iceland. 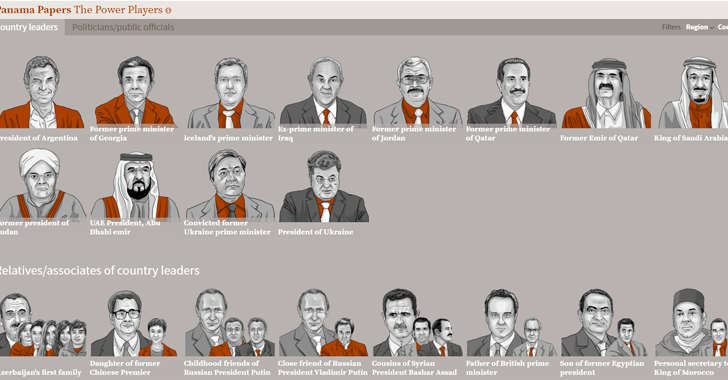 The Panama Papers has unearthed 12 current and former world leaders, including monarchs, presidents, and prime ministers, who have been using offshore tax havens, including a $2 Billion paper trail that leads to Russian President Vladimir Putin. Though Putin himself isn't directly implicated in the leak, a number of his family members and close friends are involved and are listed in the Panama Papers massive leak. The leak exposed that Sergey Roldugin, one of Putin's oldest friends, owns 3 offshore companies worth over $100 Million: International Media Overseas, Sonnette Overseas and Raytar Limited. The Panama Papers also include details on at least 33 people and enterprises blacklisted by the United States, including Mexican drug lords and a number of terrorist organizations. "The files contain new details about major scandals ranging from England's most infamous gold heist, an unfolding political money laundering affair in Brazil and bribery allegations convulsing FIFA, the body that rules international soccer," the ICIJ wrote in the Panama Papers overview of the leak on Sunday. Besides this, over 500 Indians figure is on the Mossack Fonseca's list of offshore companies, foundations, and trusts based on the Panama Papers. The list has names of big personalities including film stars Amitabh Bachchan and Aishwarya Rai Bachchan to DLF owner K.P. Singh along with 9 members of his family. According to the German newspaper, Mossack Fonseca is the world's fourth-biggest offshore law firm that enables their clients to keep their financial affairs secret, no matter how shady, citing some of its clients, which include "criminals and members of various Mafia groups," along with government officials and their relatives and close associates. The Panama Papers leak also revealed that some global banks including HSBC, UBS, Deutsche Bank, Credit Suisse, and others have worked with Mossack Fonseca to create offshore accounts. In response to the ICIJ's report, Mossack Fonseca issued a statement saying that the firm, as a registered agent, is only helping its clients incorporate companies and that it conducts thorough due diligence in every case it meets and quite often exceeds all relevant local rules, regulations and standards to which the firm is bound.